>>>T H E..L O W.. P R I C E .. SALES EVENT <<< THE END OF THE MONTH PUSH IS HERE..,WE NEED TO SELL (1 0 0) PRE-OWNED VEHICLES THIS WEEK!!! TREAT YOURSELF TO A NEW PRE-OWNED VEHICLE THIS MONTH. SPECIAL “IN SHOWROOM” DISCOUNTS...UNBEATABLE LOW PRICES...AND... NOTHING IS BEING HELD BACK...S A V E THOUSANDS DURING THIS END OF THE MONTH SALES EVENT. SO, DO YOUR RESEARCH, COME TO OUR SHOWROOM, AND BE PREPARED TO D R I V E YOUR NEW PRE-OWNED VEHICLE HOME !!! ** NEW PRICE! **, *** CARFAX CERTIFIED ***, Power Stroke 6.7L V8 DI 32V OHV Turbodiesel, TorqShift 6-Speed Automatic, 4WD, ABS brakes, Alloy wheels, Compass, Electronic Stability Control, Heated door mirrors, Illuminated entry, Low tire pressure warning, Remote keyless entry, Traction control. Clean CARFAX. CARFAX One-Owner. Odometer is 8355 miles below market average! ** NEW PRICE! **, *** CARFAX CERTIFIED ***, 4WD. 4D SuperCrew, 2.7L V6 EcoBoost, 6-Speed Automatic Electronic, 4WD, ABS brakes, Alloy wheels, Compass, Electronic Stability Control, Illuminated entry, Low tire pressure warning, Remote keyless entry, Traction control. >>>T H E..L O W.. P R I C E .. SALES EVENT <<< THE END OF THE MONTH PUSH IS HERE..,WE NEED TO SELL (100) PRE-OWNED VEHICLES THIS WEEK!!! ...UNBEATABLE LOW PRICES...AND... NOTHING IS BEING HELD BACK...S A V E THOUSANDS DURING THIS END OF THE MONTH SALES EVENT. 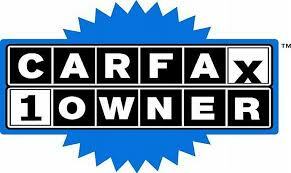 SO, DO YOUR RESEARCH, COME TO OUR SHOWROOM IN GARNER, AND BE PREPARED TO D R I V E YOUR NEW PRE-OWNED VEHICLE HOME !!! ** NEW PRICE! **, *** CARFAX CERTIFIED ***, **ONE OWNER **, 4D SuperCrew, EcoBoost 3.5L V6 GTDi DOHC 24V Twin Turbocharged, 10-Speed Automatic, RWD, ABS brakes, Alloy wheels, Compass, Electronic Stability Control, Illuminated entry, Low tire pressure warning, Navigation System, Remote keyless entry, Traction control. Clean CARFAX. CARFAX One-Owner. Odometer is 11969 miles below market average! ** NEW PRICE! **, *** CARFAX CERTIFIED ***, 2D Standard Cab, 3.5L V6 Ti-VCT, 6-Speed Automatic Electronic, RWD, Oxford White, Medium Earth Gray w/Cloth 40/20/40 Front Seat, ABS brakes, Compass, Electronic Stability Control, Low tire pressure warning, Traction control.